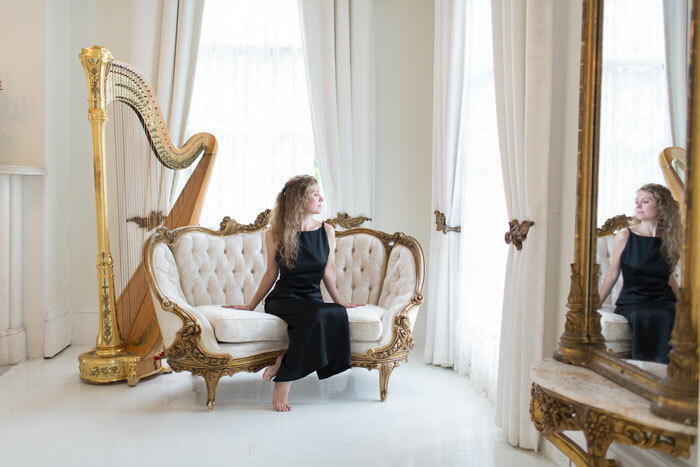 Ashley Lancz Toman began playing harp and studying music at the age of 14 in Traverse City, Michigan. Three years later she was accepted to the prestigious Eastman School of Music where she earned both Bachelor's and Master's degrees in harp performance and served as a harp teaching assistant, though her first love has always been performing. Ashley's career as a freelance harpist has taken her all over the United States as well as Europe. She performed twice daily as the harpist in residence at Grand Hotel on Mackinac Island, Michigan for five seasons. Since moving to Louisiana, Ashley has appeared with the Louisiana Philharmonic, and Baton Rouge Symphony. She has recorded with Ani DiFranco, and is the harpist seen and heard in the Tarantino film "Django Unchained." Ashley maintains a busy freelance schedule, performing for numerous wedding ceremonies and other events all over southeastern Louisiana. She currently performs every Sunday during brunch at the National World War II Museum in New Orleans at the Stage Door Canteen. She resides in Baton Rouge.